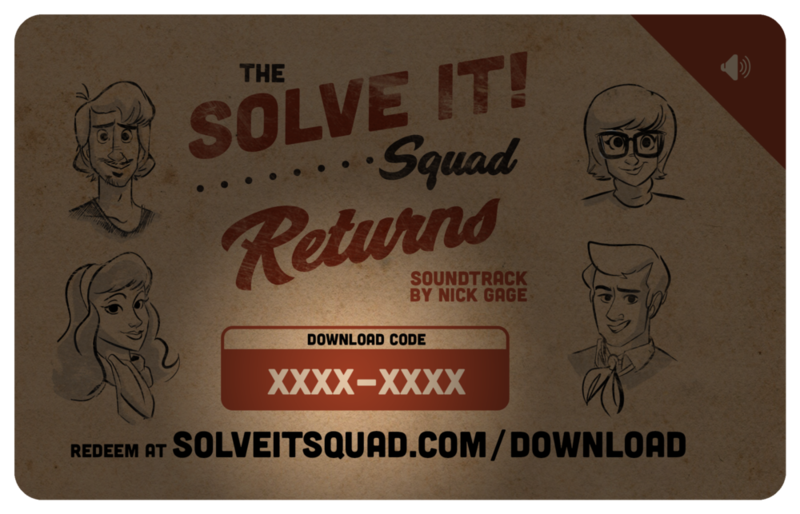 Redeem your Solve It Squad (Soundtrack) download code with our music partner, Bandcamp. If you are on a mobile device, you can click above to redeem your code, and then download the Bandcamp App (iOS | Android) to stream it straight to your device. Redeem your Solve It Squad digital video download code with our video partner, VHX. If you are on a mobile device, you can click above to redeem your code, and then download the VHX App (iOS | Android) to stream it straight to your device, or save for offline viewing.